OK, just guessing, but I think the Entex "Late Great Titanic" came out about 1976. GREAT model. Entex's 1/350 "Late Great Lusitania"
Unknown maker, 1/400 "Queen Elizabeth 2"
Testors' monstrous vac kit "Graf Zeppelin"
I have very fond memories of those days. Post subject: Re: Calling all TITANIC fans!! Slightly OT: Went to see Titanic: The Artifact Exhibit in NYC this past Friday at Discovery NYC. There were parts as small as coins and a perfume bottle to pieces as large as a part from the engine room and one boat davit. Very subdued, very well done. It's a traveling exhibit (it closed in NYC this coming Sunday), if it comes to your town, it's worth checking out. To keep it OnT: I might get the 1/700 kit and build it with my 9 year old, who came with us. It will certainly be "good enough" for him (especially if I don't have to paint it!). If I decide to get serious and do a 1/350 Titanic - what is the best kit out there now? I had the Entex kit as well (never built it) - I think I paid the then astronomical sum of $50 back in 1991 at Rosemont Hobbies in the Allentown PA area. 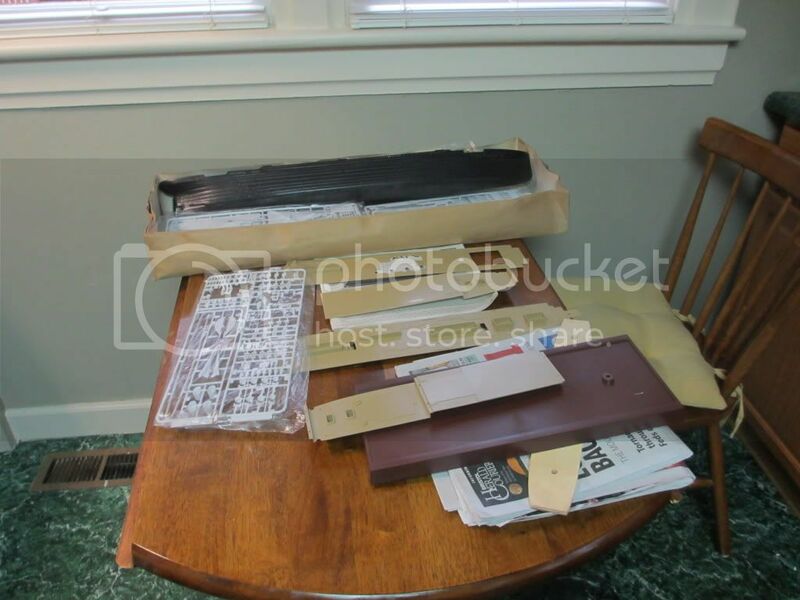 I had the HP models 1/700 resin w/l Titanic kit. I wish I'd have kept it; even though a self proclaimed Titanic expert said it had some flaws. I liked it! The Academy 1//700 kit looked nice to me, but I guess it has some problems too. What I like about Titanic in 1/700 is getting the chance to set it alongside some 1/700 scale warships; on the same tabletop! I guess that the Entex > Academy 1/350 Titanic can still be considered in the running for most accurate kit of Titanic. I do wonder what changes were made to the Entex Titanic to make Academy's offering the best. The Academy kits' instruction sheet goes on about the numerous changes made to Entex's kit, and that GMM's hand was in it too. The 1/400 Academy Titanic is pretty darn nice too; definitely better than the Revell kit. Bless Revell just the same. Just finishing up two sets for rails and details for the 1/700 Academy Titanic kit. It's not a bad little kit and it couldn't hurt to dress it up a little! Should be available in a couple of weeks. I'm working on a very simple card model the wife picked up for me at Barns & Nobel ("Build The Titanic"). 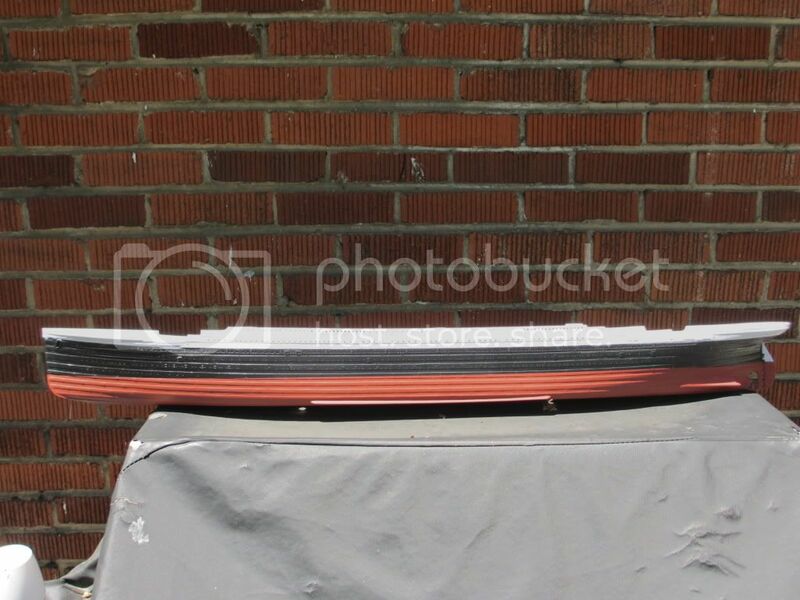 Its about two feet long and will make a nice simple peice in the office. I just want to bring more life to her. I'm looking for the location of deck ventelators on the ship. I'm fine with scratch building and I'm adding my own upgrades to the kit from my spare parts box. Just need to know the location of the vents. PS; I don't want to drop money into this kit for a set of plans. Its a very simple kit more for enjoyment and a break from other large scratch build projects I have going on. 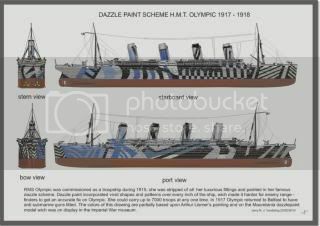 Have you scoured the i-net for Titanic drawings yet? I'd be willing to bet that you'll have deck plans in the time it would take you to type, "rumplestiltskin". I mean to encourage you to do so, as I can't imagine your time would end up fruitless. On the 15th, I spent 6 hours watching History Channel specials. Very interesting! Just say, "Titanic",and most people will sit up and take notice. I'm in the very first stages of building the Academy/Minicraft 1/350 kit. With the entire ensemble of Tom's PE sets (all 6 sheets) I'm hoping to make something to sit on my mantle. If anyone's interested I can post up in progress pics as I go or post in the gallery when it's done. Question: What R.M.S. 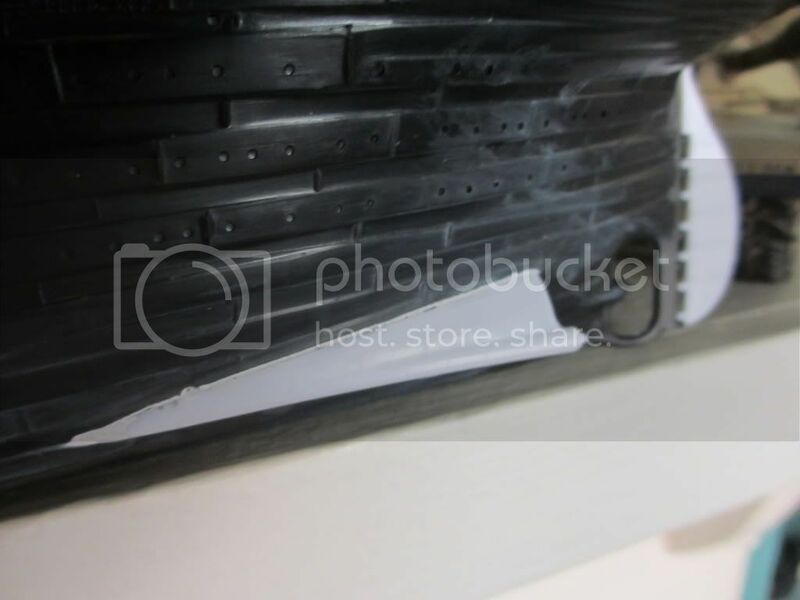 Titanic kit in scale 1/700 is to recommend? I'd like to see in progress pictures. I know it's a lot of work, but if it wouldn't be too much trouble you could write a build blog. I know there would be people like me that would follow it. Then once you're done post your finished on the gallery. If you start a build blog, you'll be encouraged to do it under the, "Picture Post" > "works in progress", forum. Yes, I too would encourage you to start a build blog; especialy if you desire to. You'll get a fair amount of feedback, and some useful ancedotes from time to time; expeically when you get to a certain progress point where you are challenged and there is an easier softer way to do something. I used to post build blogs on the CASF forum on purpose, but finally I came to terms with the reasoing. The CASF forums are for enthusiasts of the real ships; a place to post real life images and factoids; including historic information. I've posted likewise information on the CASF forums related to models of the real ships; noone had an issue with that. Additionally, I've posted links to my build blog of a certain type of ship on that particular ships CASF forum. I've seen the first 1/700 Academy Titanic kit and was turned off when a number of, "resident experts", on the website, "The debris field", turning me off on that kit. 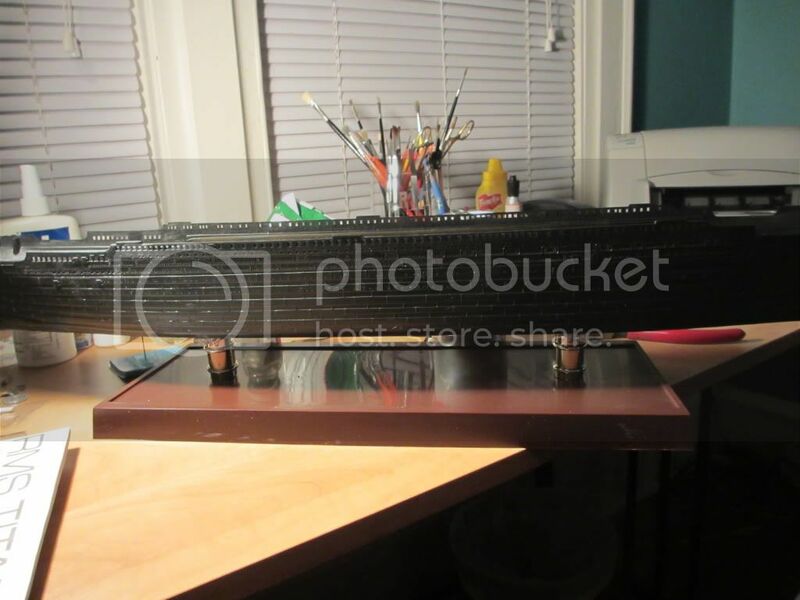 I had the HP Models 1/700 resin w/l kit of Titanic and liked it, but ended up selling it. I am owed another of this kit, but don't know if I'll actually get it ever. 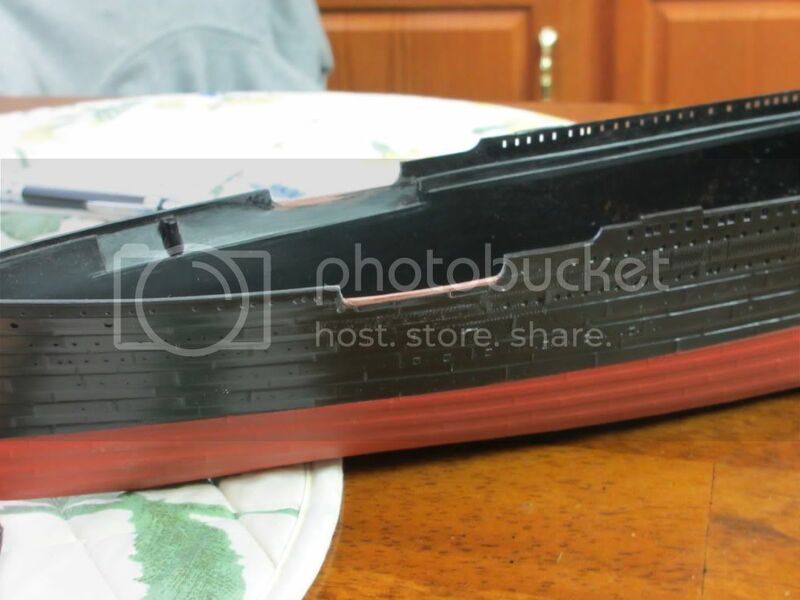 Within the last 6 months, I purchased the new 1/700 Titanic from Academy using the molded in color parts and it had a separate, nicely fitting separate hull bottom; molded in that Terra-Cotta reddish-brown color. I was impressed with this particular kit, and costing less than $40, its a deal. I would recommend buying the newest 100th Anniversary kit of Titanic from Academy. I don't think you'll be disappointed. I spent some time comparing this new kit with photos of the Titanic and the areas studied compared well between the kit and the pics. Your search is over. There is also the newly released new-tool 1/700 kit from Revell - haven't seen any direct comparisons between it and the new Academy one, though. But I think both would be good! Stumbled on this modelship clip from an old German silent film. They claim it's based on a german oceanliner (called "Grossherzogin Victoria" - possibly spelled wrongly) But it sure looks like Titanic to me. Titanic's funnels are evenly-spaced, not separated into fire and aft halves like the model in the video - so whatever it is, it's not a straight copy of the Titanic! I have never heard of a "Grossherzogin Victoria", and I don't think I'll ever do. I have not found any ship with such a name on any books I have and I'm POSITIVE no four-stack ship was ever named "Grossherzogin Victoria". I do think the ship is a portmanteau of several german four-stackers, the only ones which had those very distinctive paired up funnels. Plus the Olympic. The my next work will OLYMPIC during the WAR, and I want to realize with this camouflage. black, gray, white, light blue and blue ? RMS Titanic fans! Accurately sized, shaped and detailed 1/350 scale cylindrical crane pedestals for Olympic class liners RMS Titanic, RMS Olympic and HMHS Britannic have been added to the catalog. Titanic cranes (50 and 30 cwt Stothert and Pitt, Ltd. cranes) will be available soon [edit: DONE!]. The cranes and their supporting pedestals are very conspicuous features of the ships and the model. 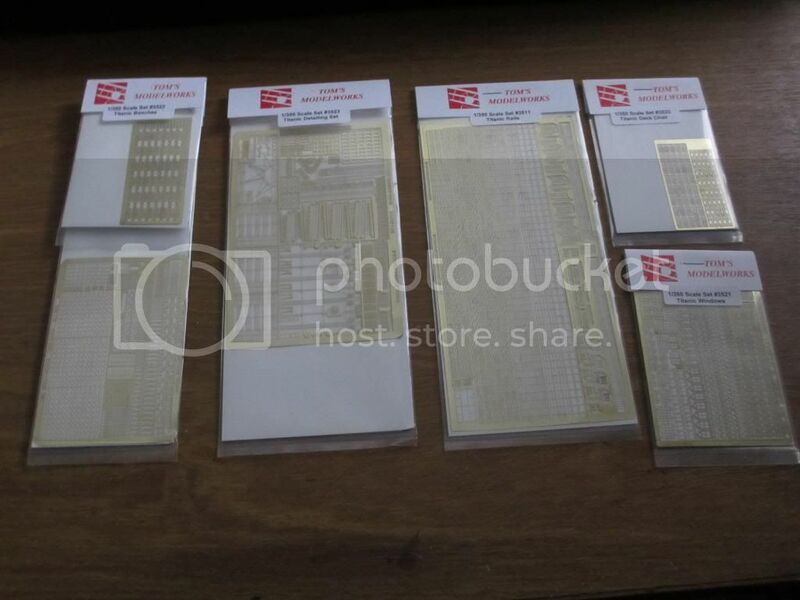 These parts are intended as direct replacements for the inaccurately sized and detailed Minicraft/Entex/Revell 1/350 scale kit's parts. Because of the rivet and bolt detail on the cranes, the CAD file size for a set of 8 cranes is presently too large for Shapeways to accept (a whopping 119 MB - limit is 65). They have to be offered as a set of four, two sets needed for one model ship.